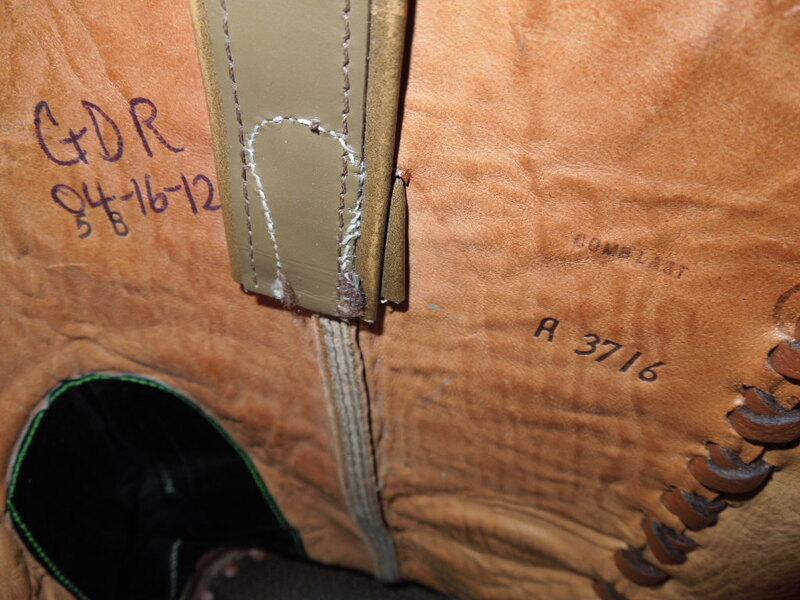 January 9, 2013 These Boots WERE NOT Made For Walking! I have a new purse. 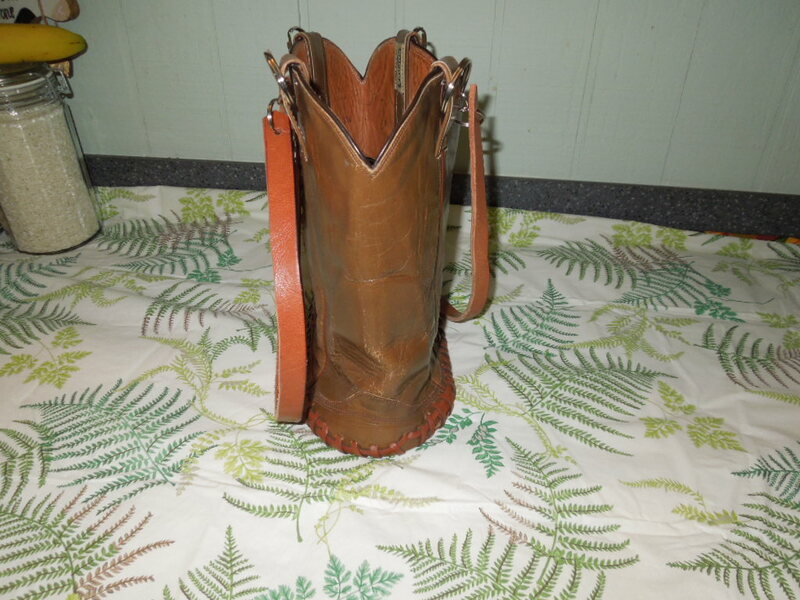 Made out of a pair of boots. I love Absolutely Alabama on Fox 6 our location station with Fred Hunter. Fred is about the nicest man you will meet. He came to The Blount County Quilters guild a few years ago and taped our quilt show and then the guild hosted the Christmas Special. You can go to www.myfoxal.com and look for Absolutely Alabama and see the wonderful things he host each Friday. 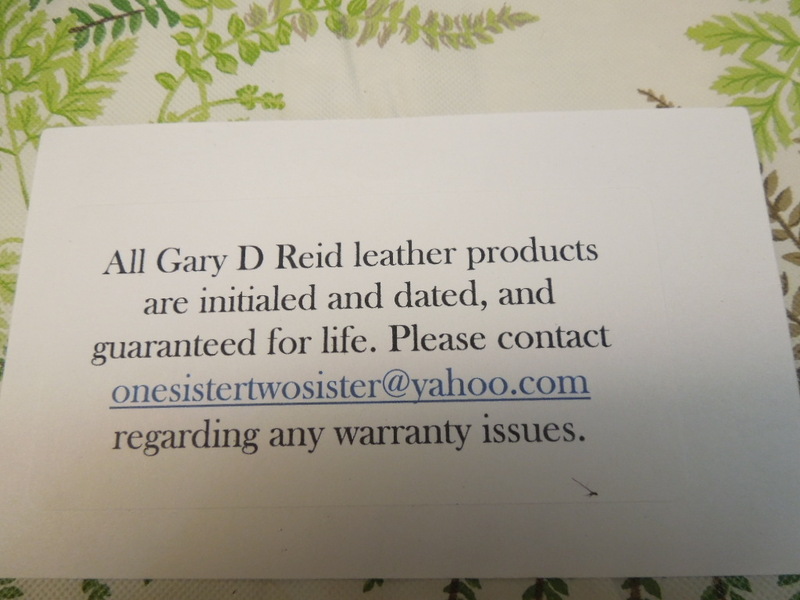 Well one of his was about a man named Gary D. Reid who takes boots and makes purses from them. That was just right up my way of thinking! 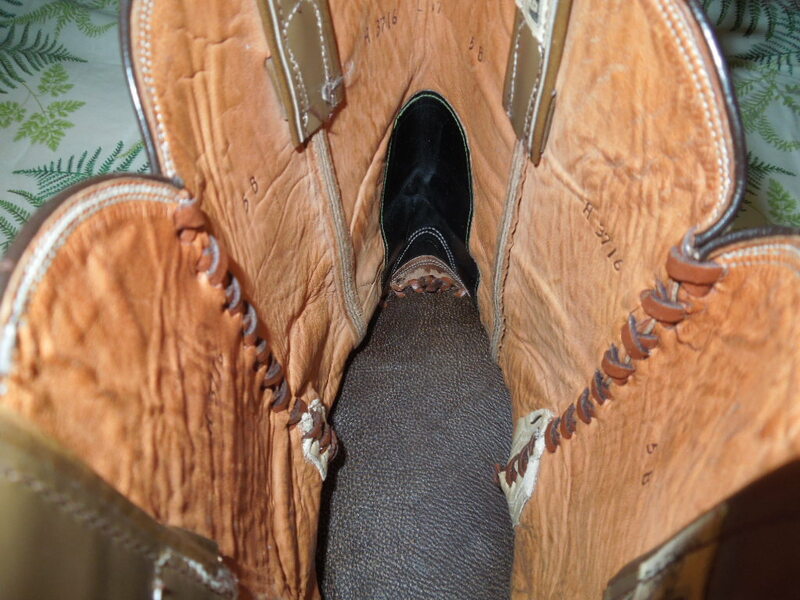 How I love purses and boots. Now you can have the best of two worlds. I found online where you can purchase them. I emailed the lady, Patricia and she gave me a price for the purse, I paid for it via PayPal and today in the mail I received my purchase. OH I LOVE IT MORE THAN I IMAGINED! Here are some more pictures and at the bottom of the post you will find a picture with the contact info. You can see pretty good size room in the bag. It is VERY clean. Each bag signed and numbered by Mr. Reid. 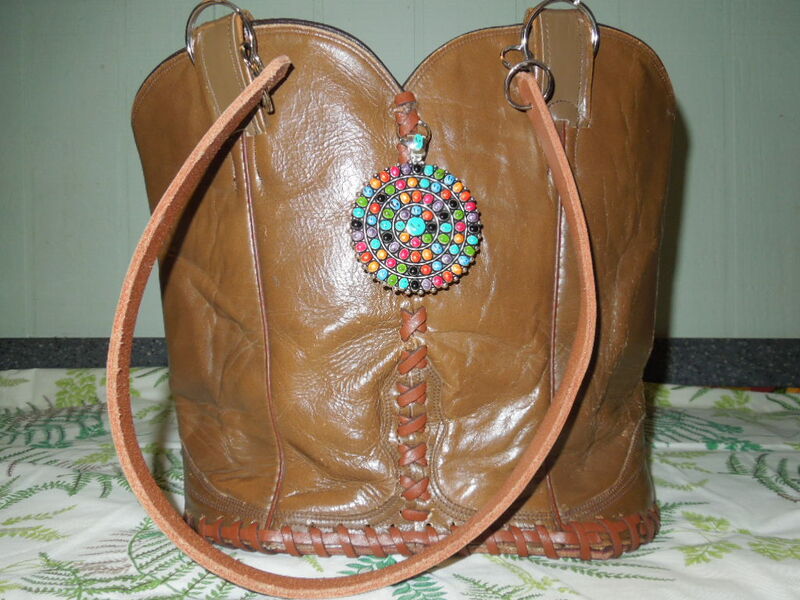 The decorative piece of the purse has a clip on it like and old earring back. Now you can change it up or even add your favorite pin or item of your choice. http://www.myfoxal.com/video?clipId=8134061&autostart=true You can see the video here of Fred Hunter and Mr. Reid. Fred does a wonderful job for our state. He is responsible for us going to numerous new places that without his segment each week we would have not known about otherwise. Thank you Fred Hunter. I hope you never quit the Absolutely Alabama series. This entry was posted in 2013 January, Advertisement, Main. Bookmark the permalink. One Response to January 9, 2013 These Boots WERE NOT Made For Walking! Very nice, I haven’t bought a leather purse in years. I lug mine around when we go for walks and things, so I got a simple blue jean bag that I can pull on my shoulder and keep out of the way. Debbie St.Germain´s last blog post ..Valentine Crazy Hearts!